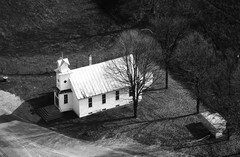 I love old country church buildings; but, I find all church buildings interesting, either from an architectural perspective or an anthropological one (or both). 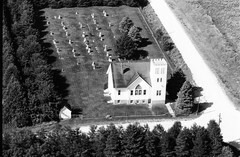 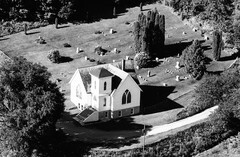 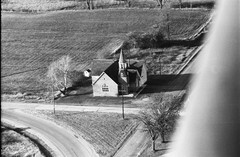 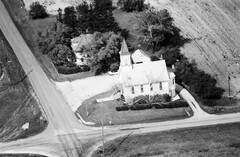 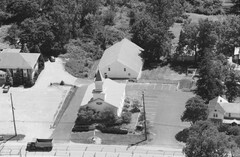 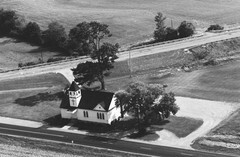 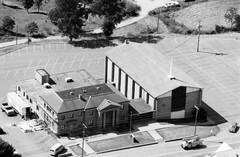 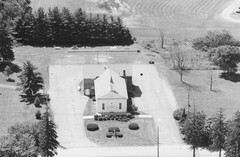 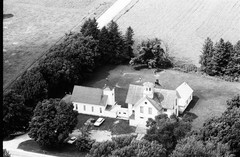 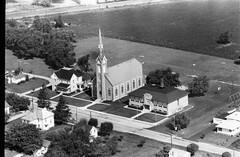 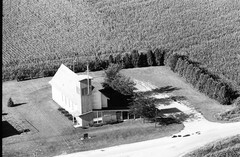 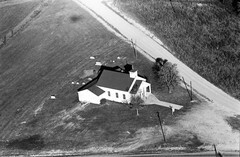 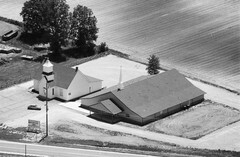 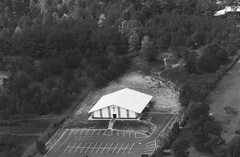 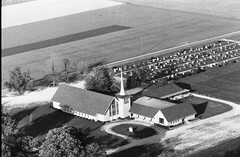 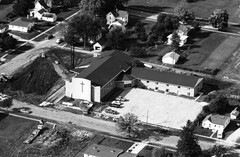 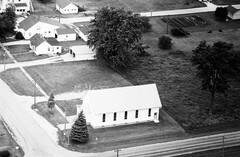 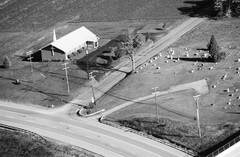 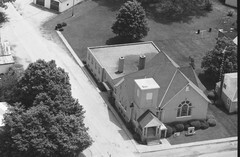 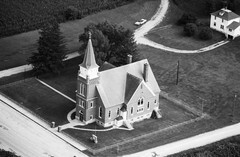 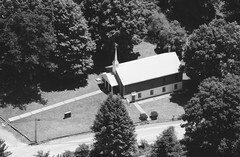 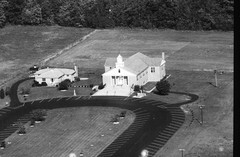 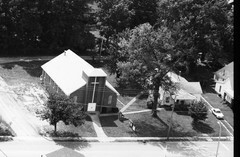 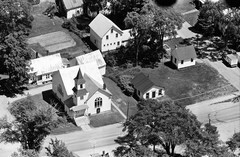 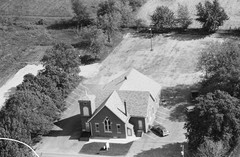 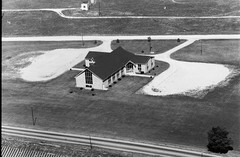 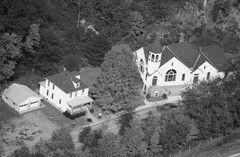 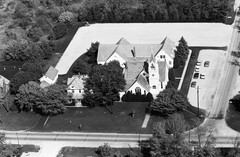 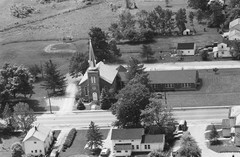 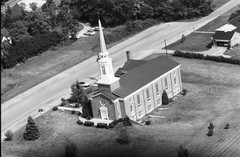 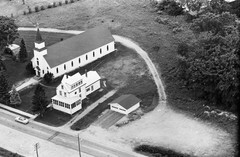 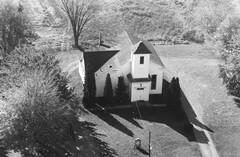 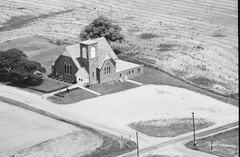 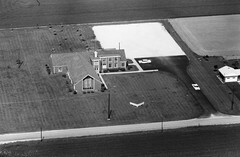 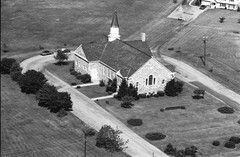 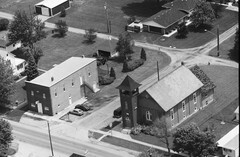 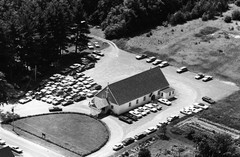 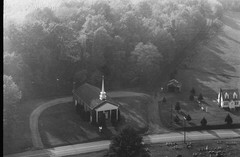 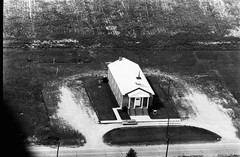 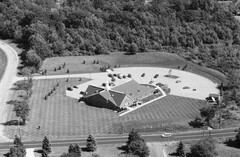 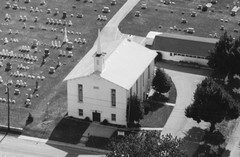 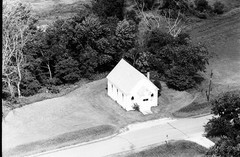 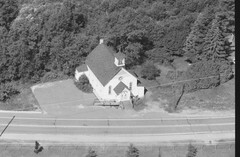 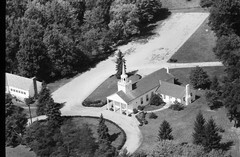 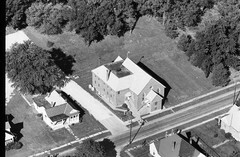 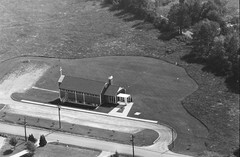 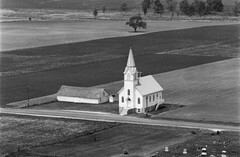 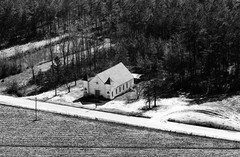 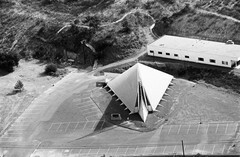 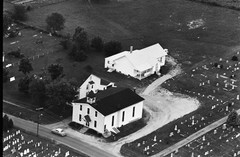 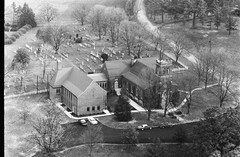 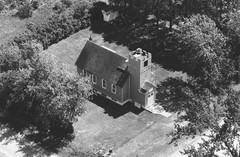 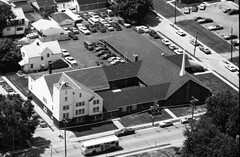 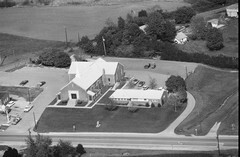 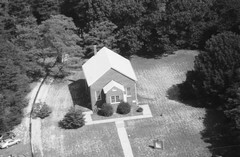 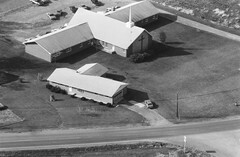 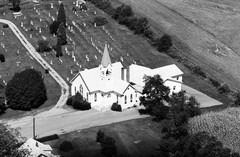 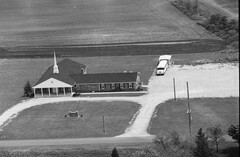 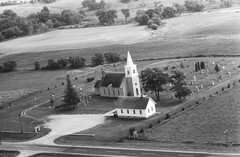 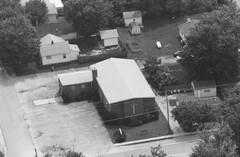 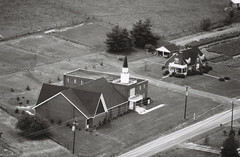 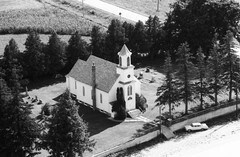 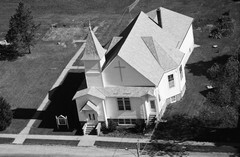 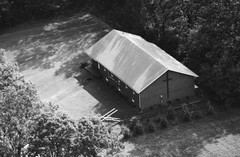 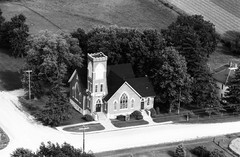 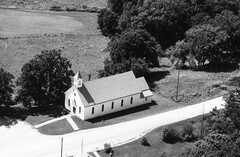 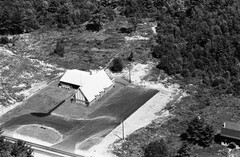 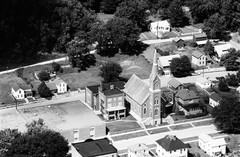 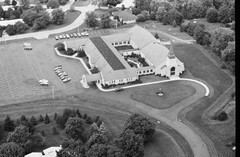 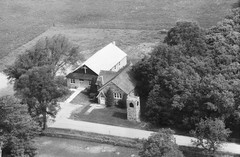 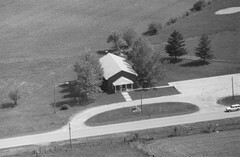 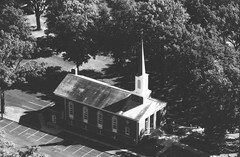 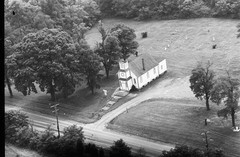 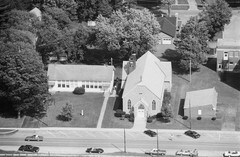 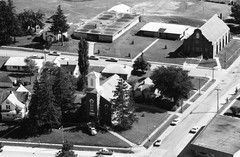 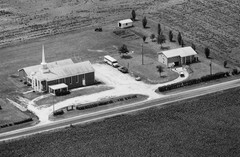 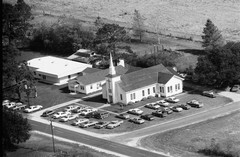 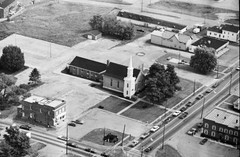 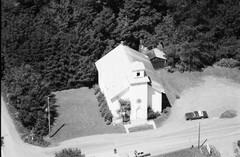 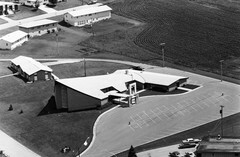 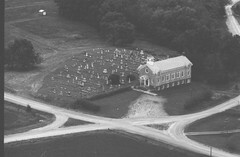 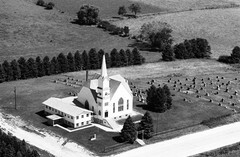 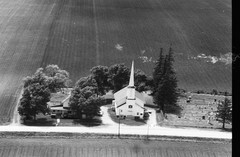 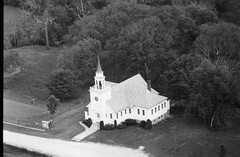 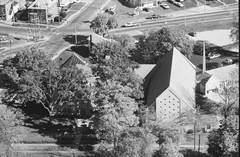 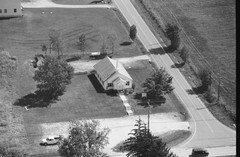 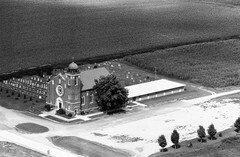 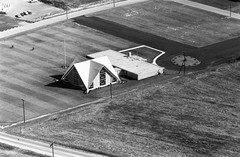 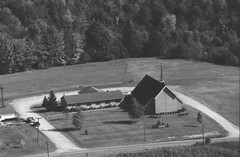 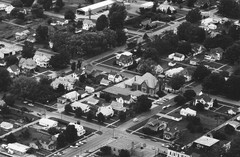 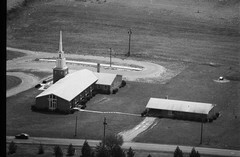 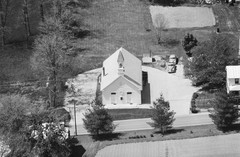 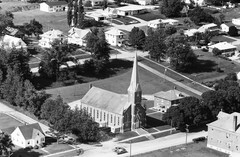 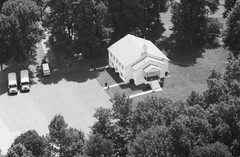 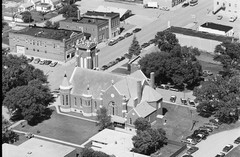 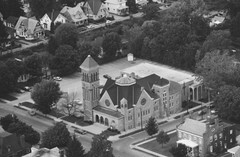 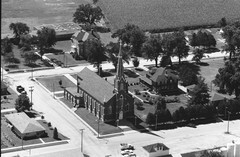 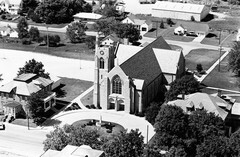 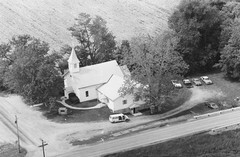 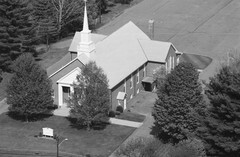 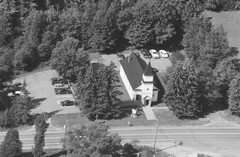 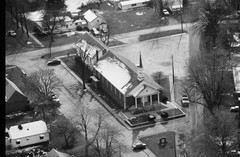 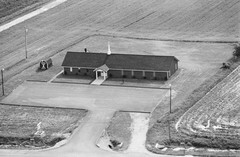 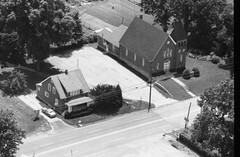 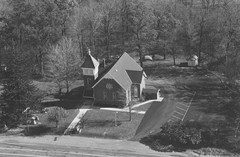 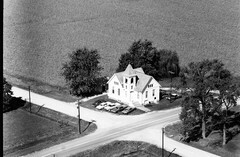 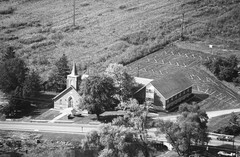 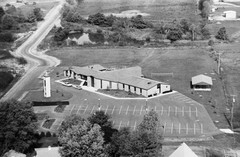 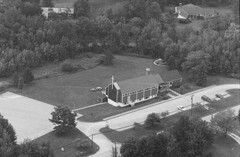 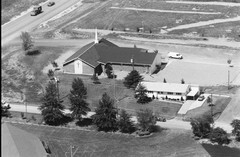 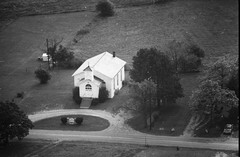 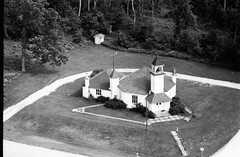 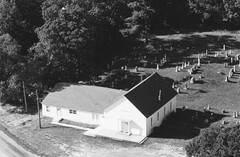 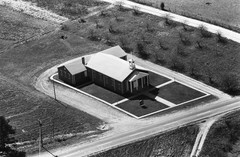 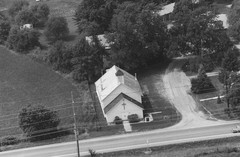 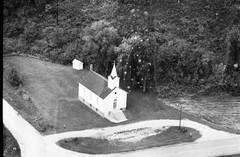 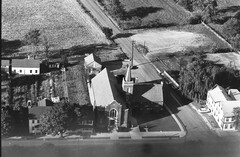 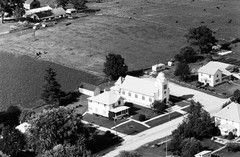 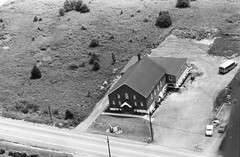 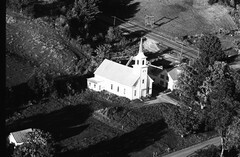 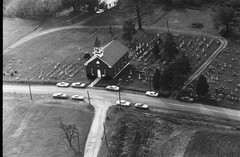 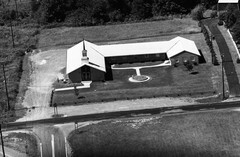 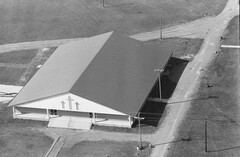 So, I'm cataloging every church building I notice while browsing the Vintage Aerial scanned film rolls. 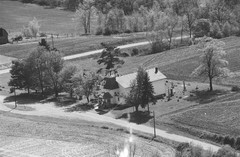 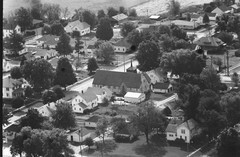 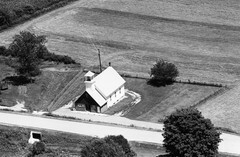 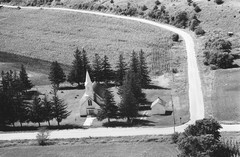 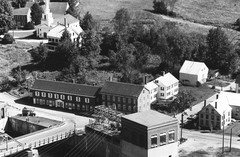 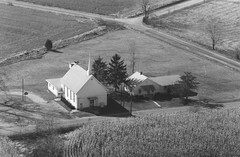 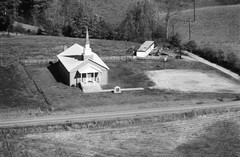 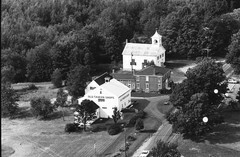 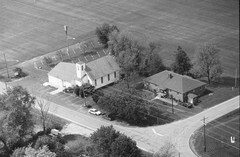 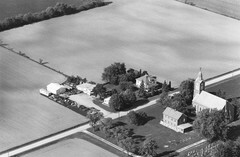 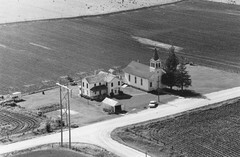 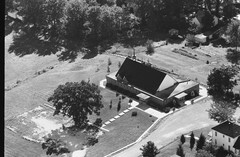 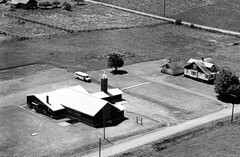 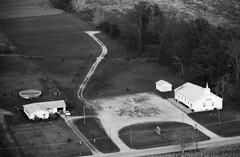 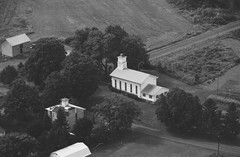 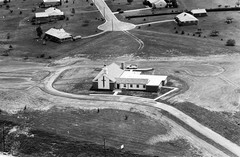 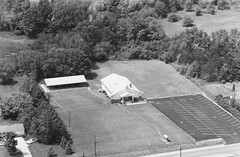 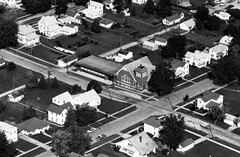 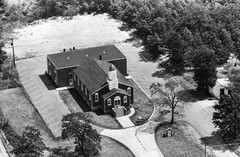 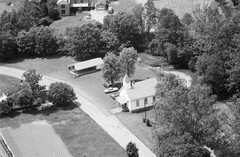 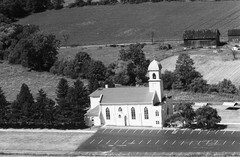 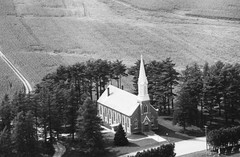 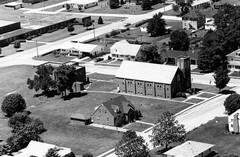 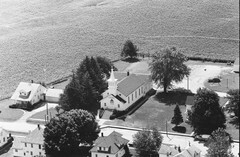 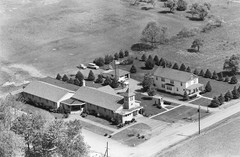 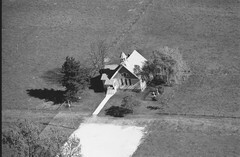 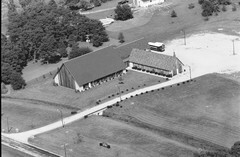 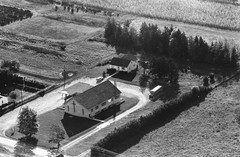 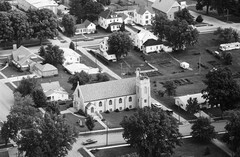 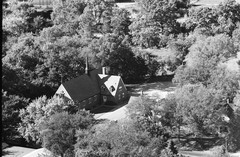 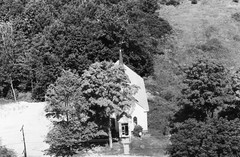 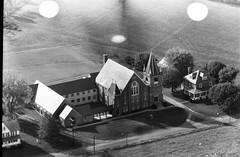 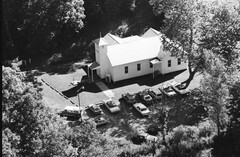 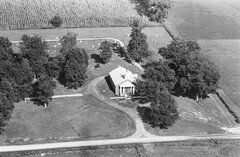 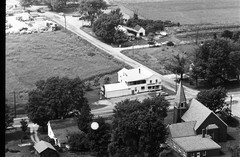 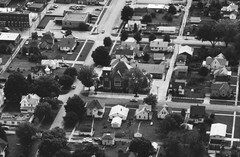 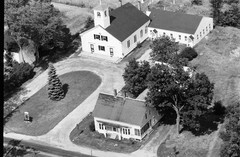 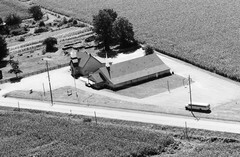 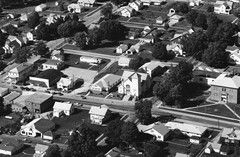 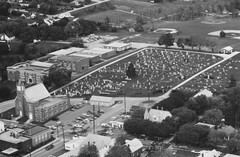 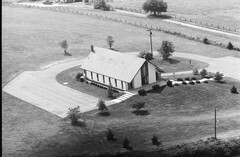 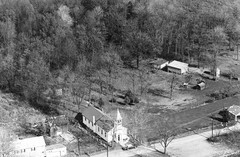 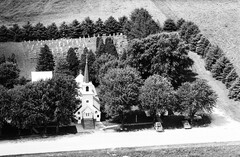 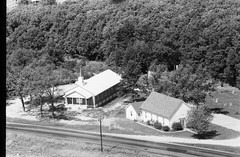 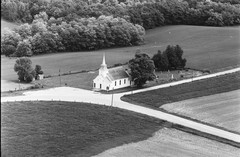 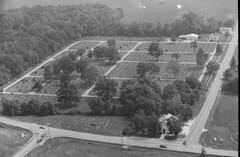 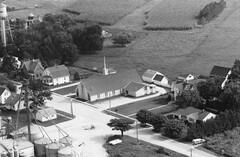 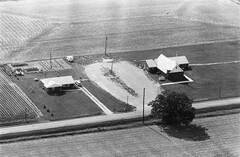 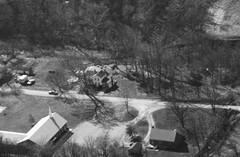 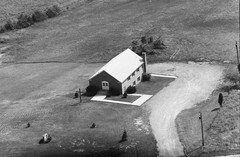 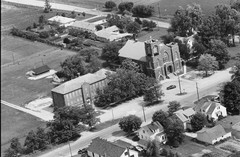 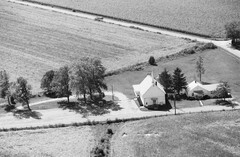 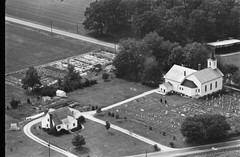 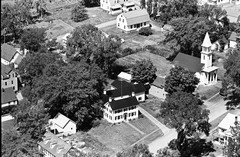 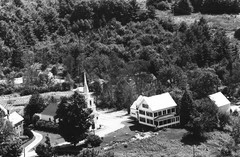 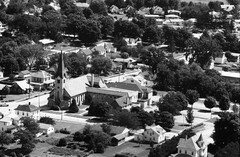 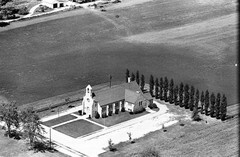 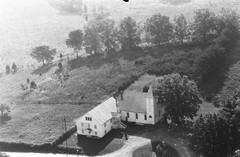 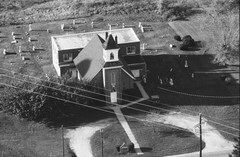 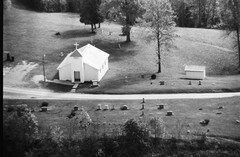 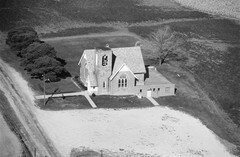 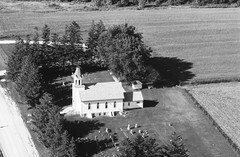 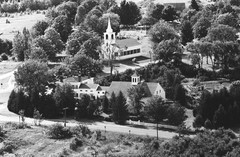 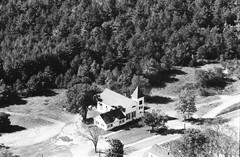 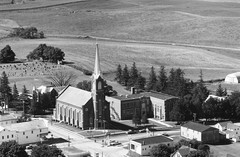 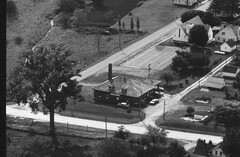 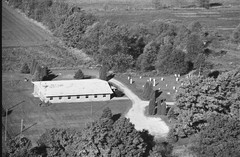 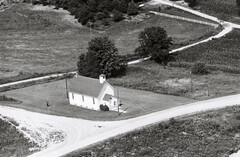 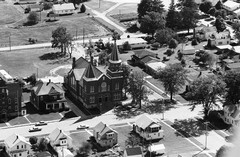 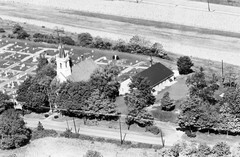 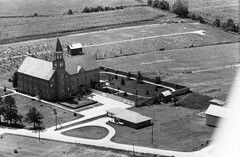 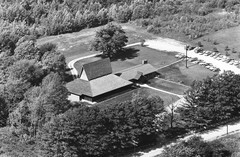 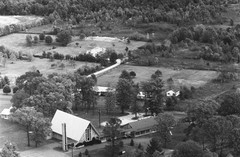 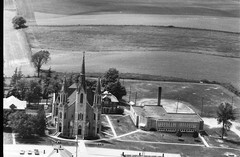 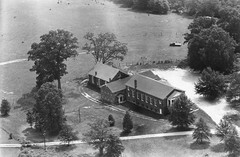 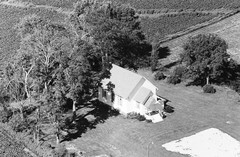 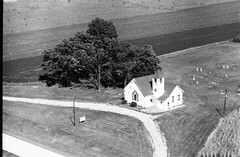 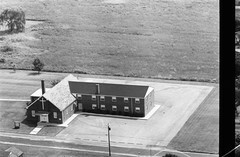 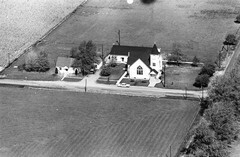 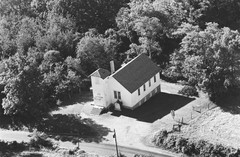 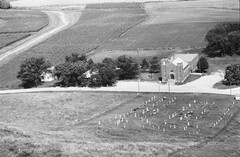 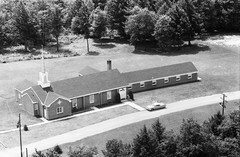 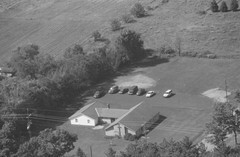 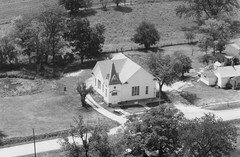 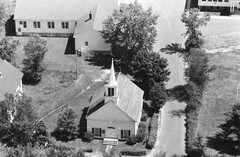 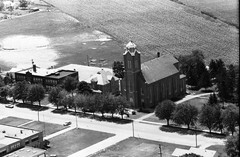 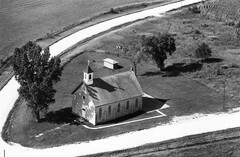 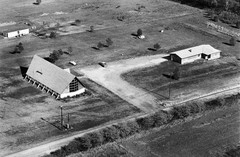 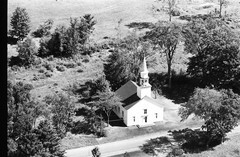 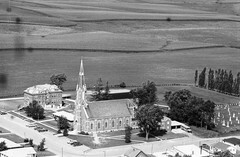 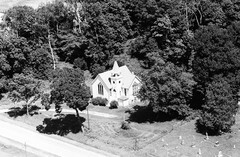 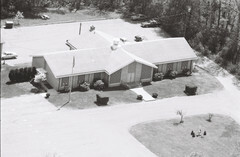 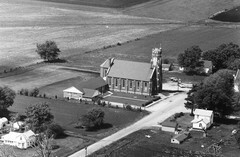 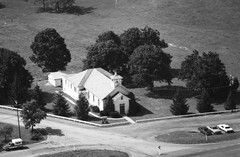 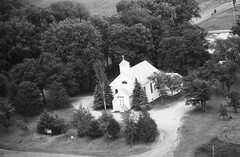 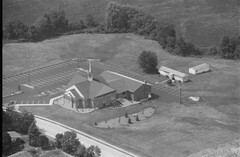 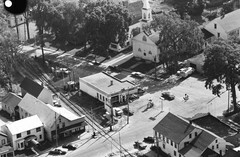 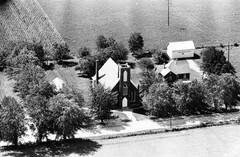 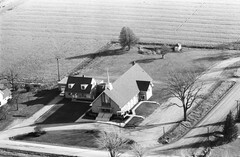 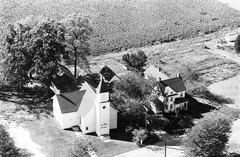 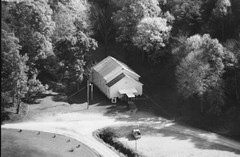 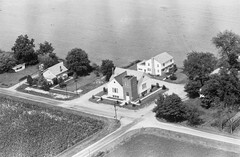 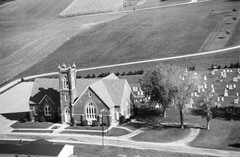 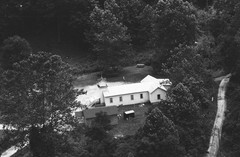 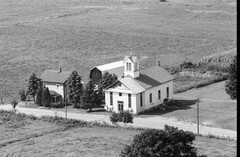 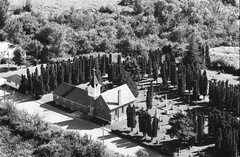 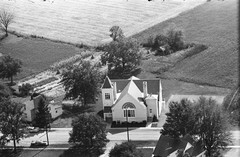 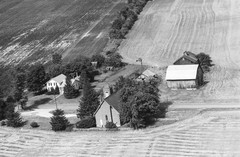 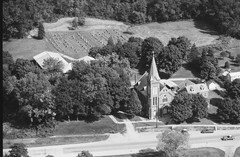 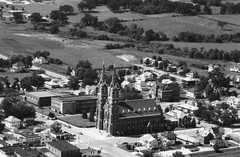 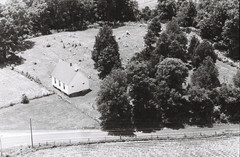 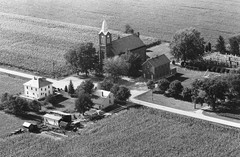 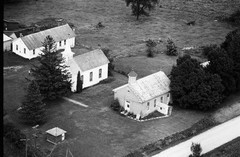 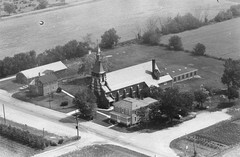 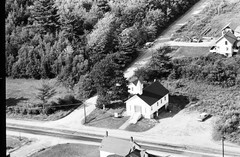 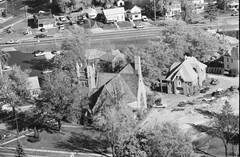 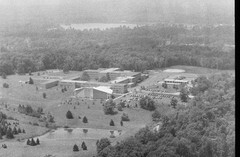 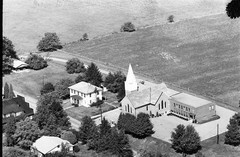 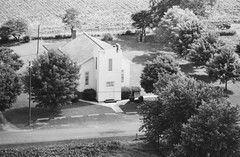 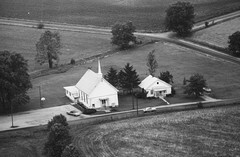 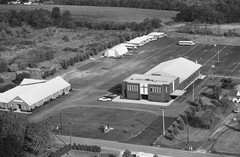 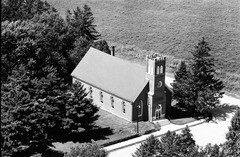 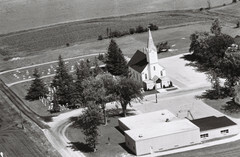 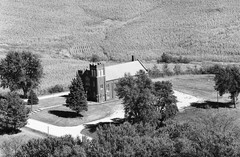 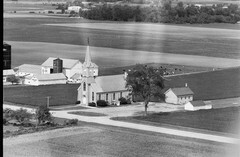 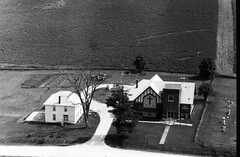 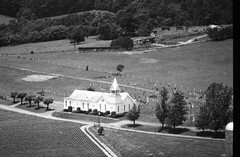 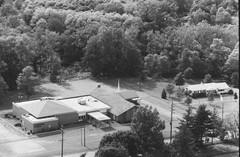 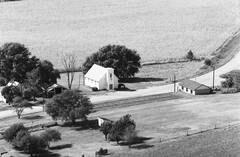 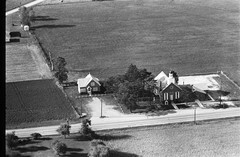 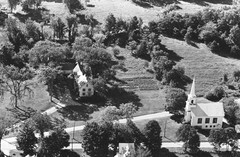 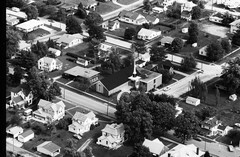 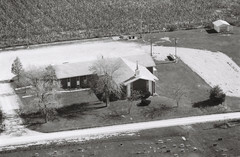 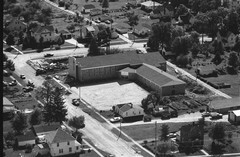 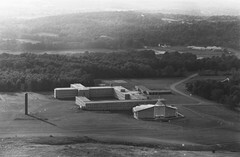 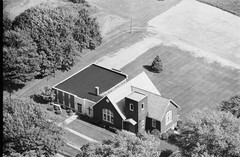 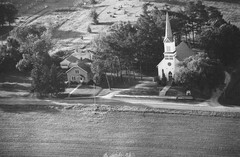 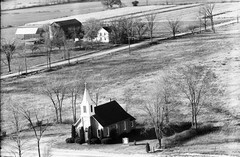 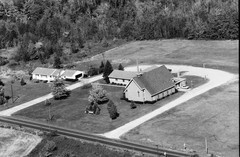 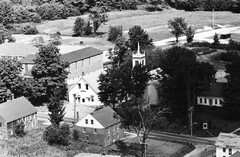 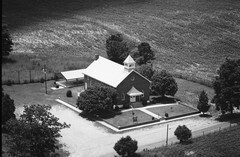 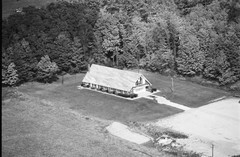 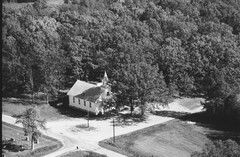 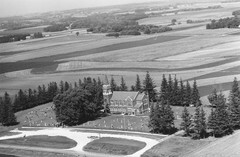 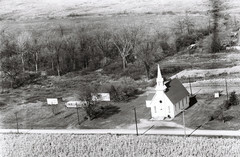 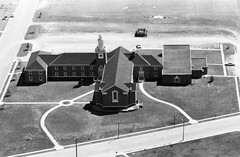 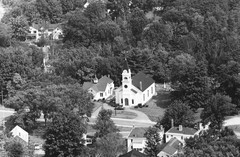 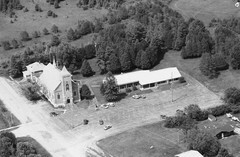 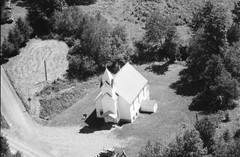 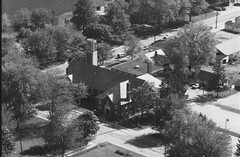 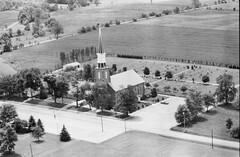 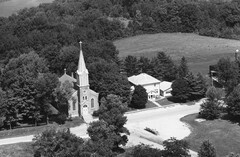 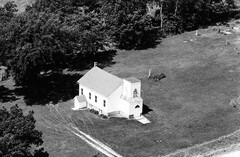 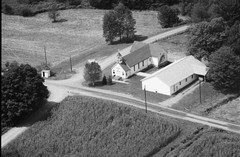 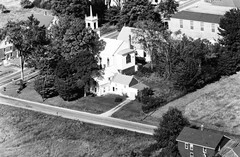 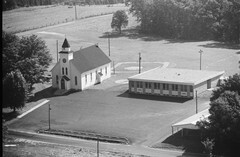 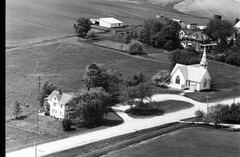 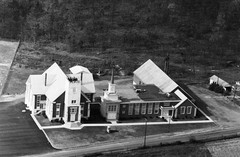 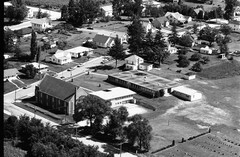 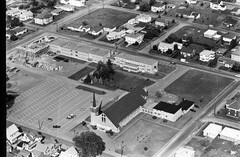 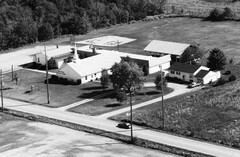 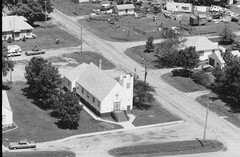 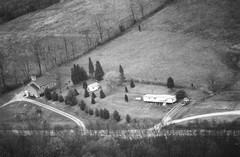 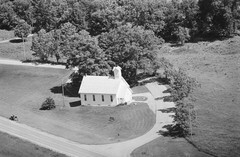 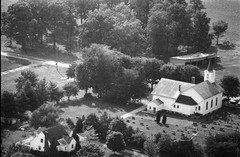 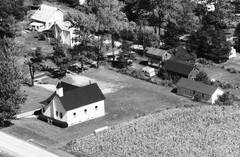 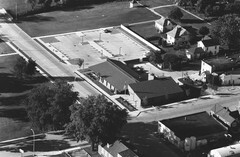 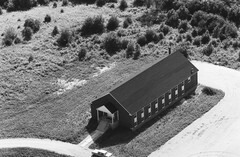 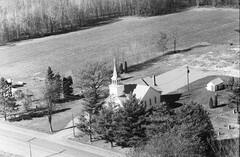 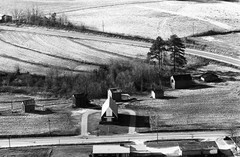 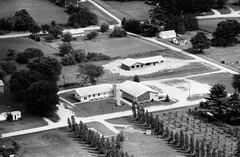 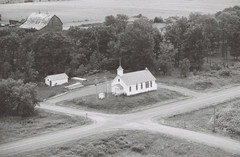 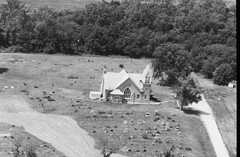 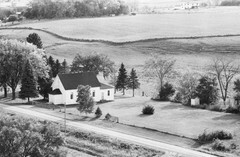 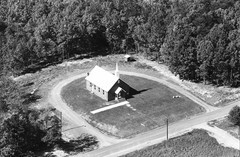 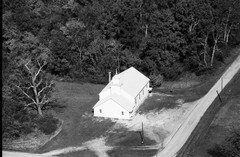 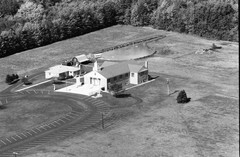 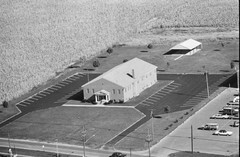 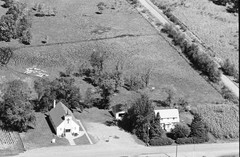 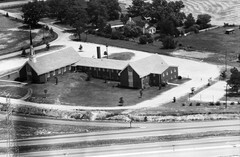 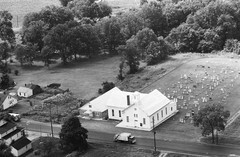 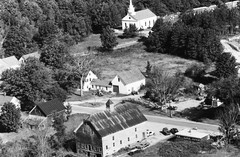 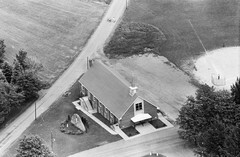 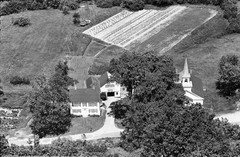 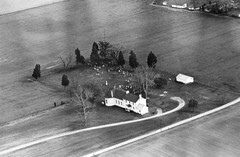 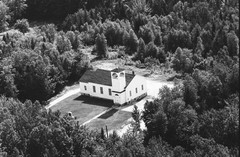 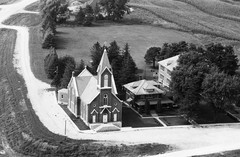 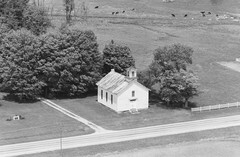 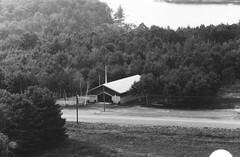 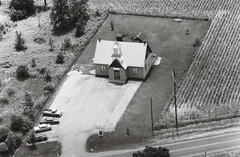 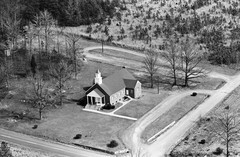 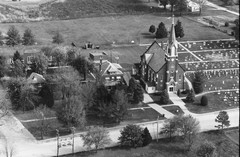 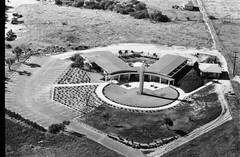 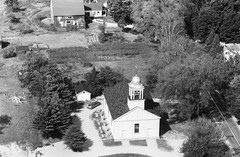 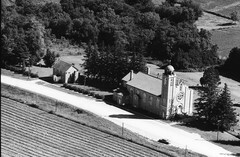 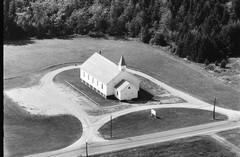 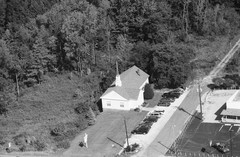 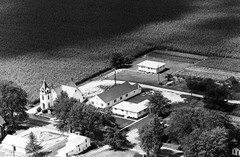 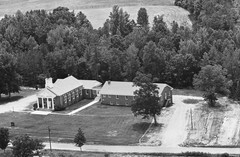 In some of these photos, the church building is in the background, cropped off, or obscured by trees or other buildings; there may be some small country school buildings in here by accident. 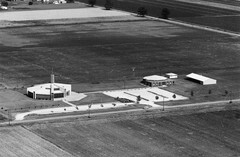 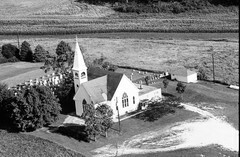 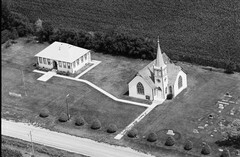 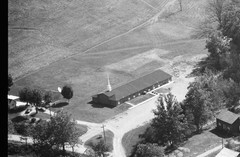 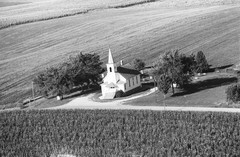 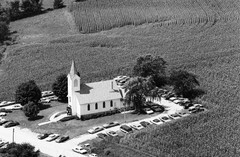 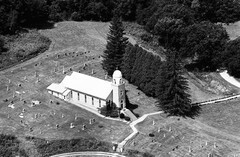 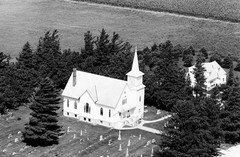 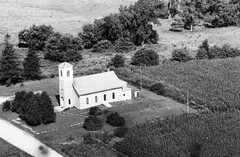 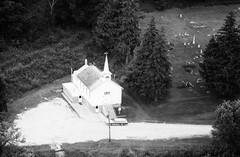 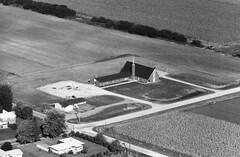 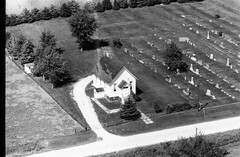 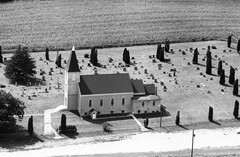 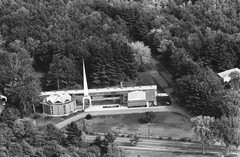 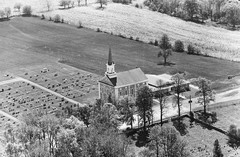 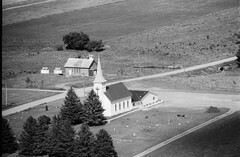 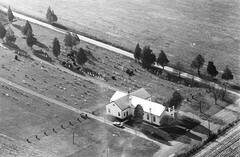 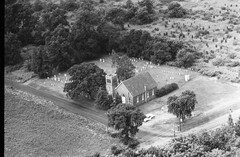 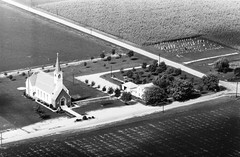 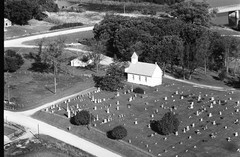 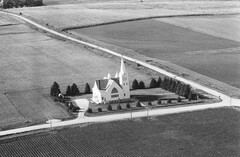 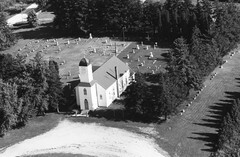 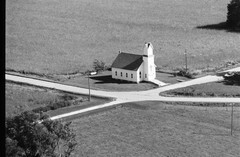 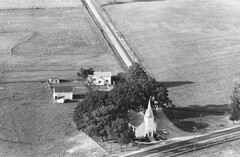 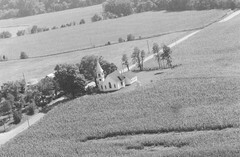 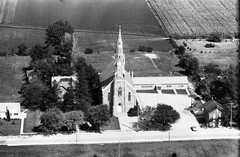 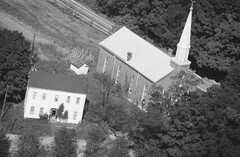 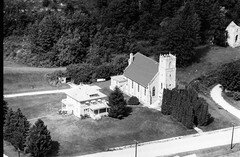 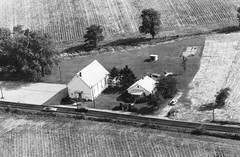 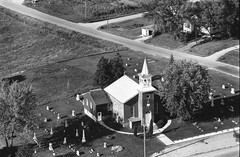 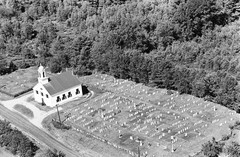 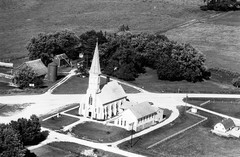 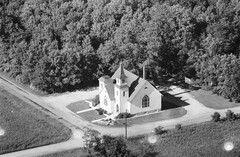 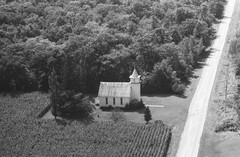 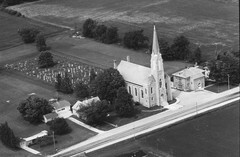 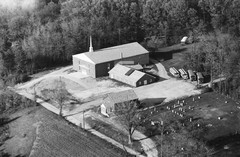 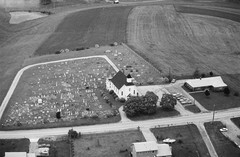 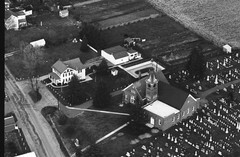 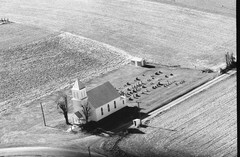 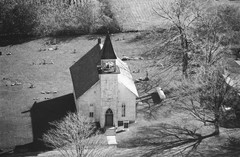 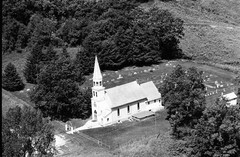 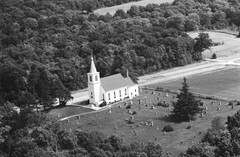 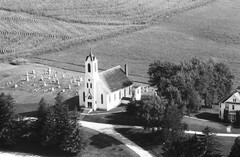 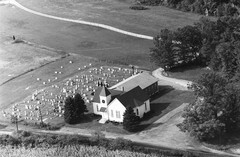 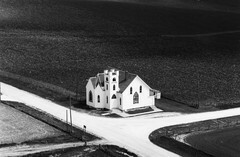 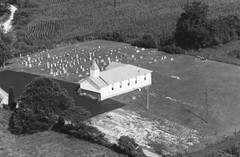 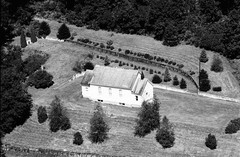 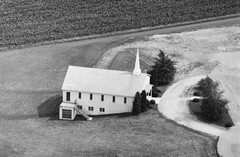 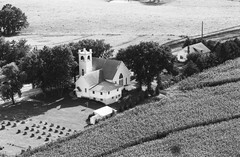 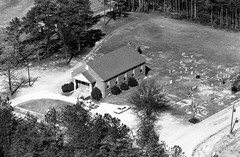 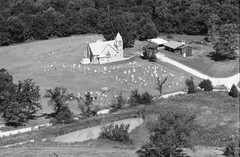 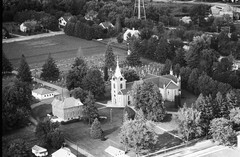 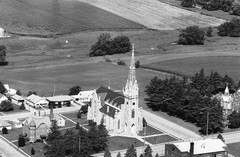 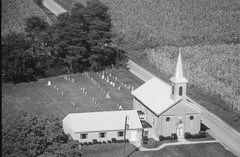 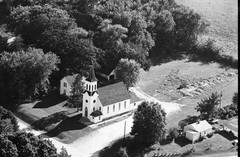 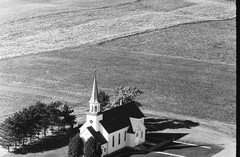 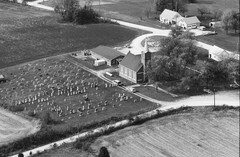 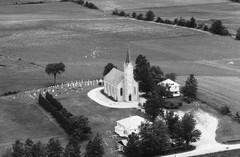 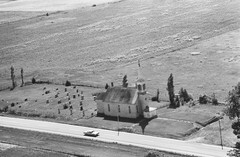 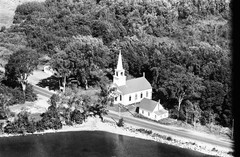 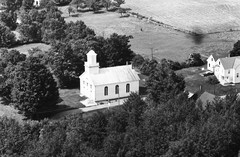 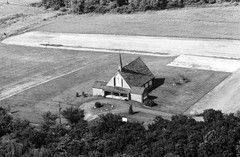 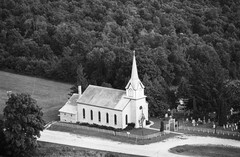 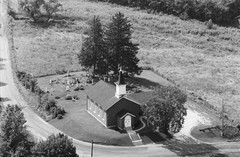 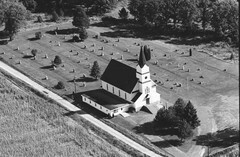 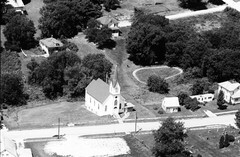 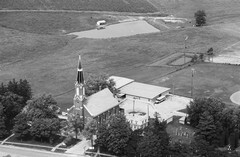 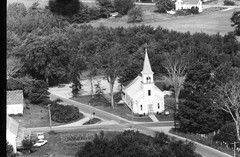 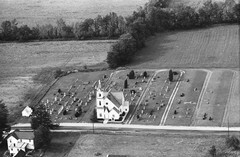 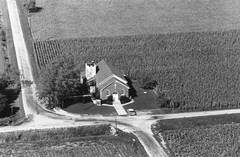 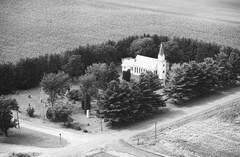 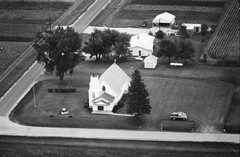 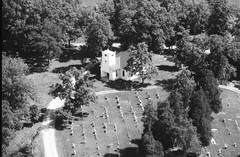 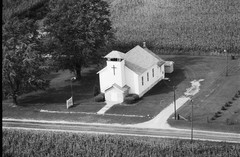 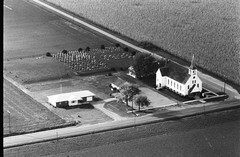 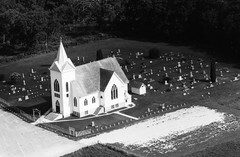 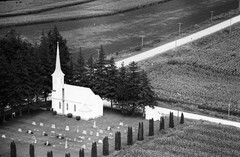 Occasionally, the aerial photographer took more than one photo of a church (on the same flight); I pick one to include here. 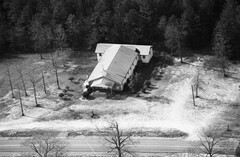 When photos are available from multiple years, they are all (subject to the one photo per flight rule) included here.